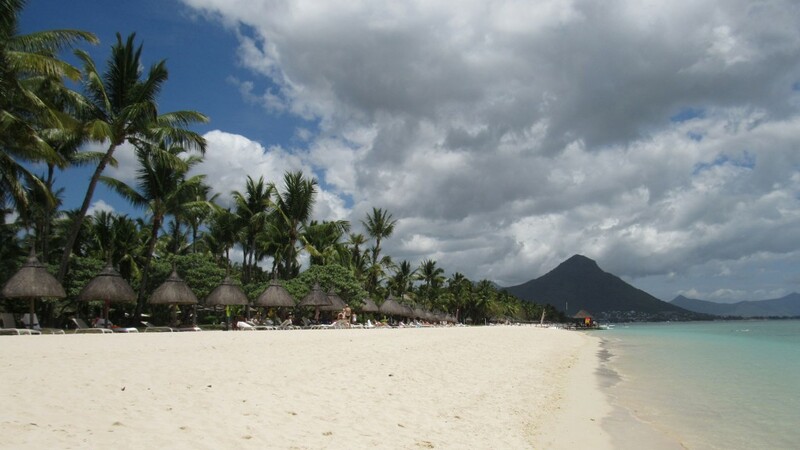 The most popular beach in Mauritius is Flic en Flac beach. Besides tourists, during the weekends many Mauritians coming from towns like Quatre Bornes or Curepipe love this beach as well. 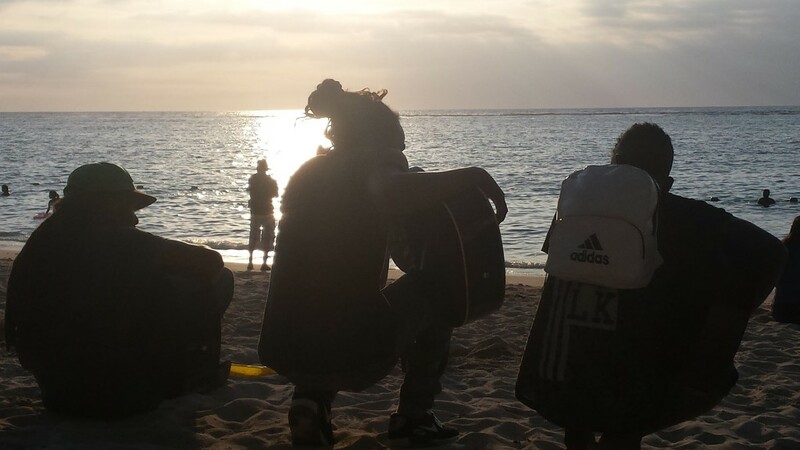 Often they bring their guitar and drums, you will find out that the weekends on the Flic en Flac beach will be celebrated! Flic en Flac beach is stretched over a 2 km long beach, some part being a public beach and other parts being in front of hotels. If you would walk from one side to the other you will see that the beach attracts a variation of visitors! On the north the beach starts after a rocky and more rough part of the Flic en Flac beach. The South of the beach gives you a splendid view over Tamarin, the village next to Flic and Flac, which is located in front of a mountain. Two things remains the same all over the beach though and that is the white sand and the shallow water. 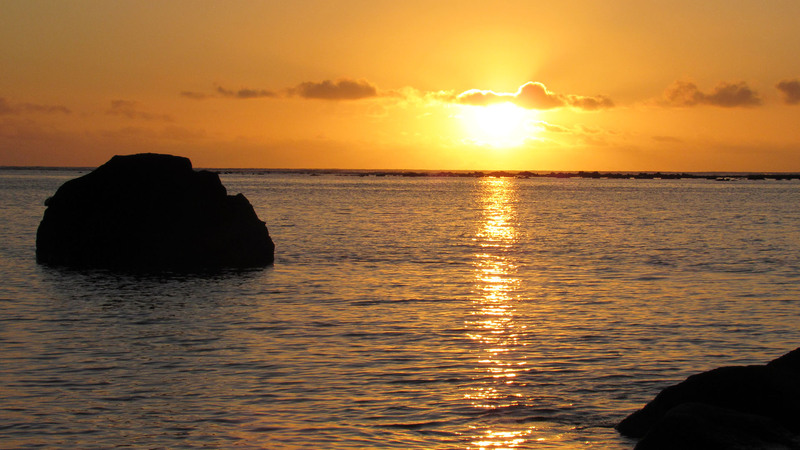 Because Flic en Flac beach is located on the west of Mauritius, this beach is ideal for watching the sun go down. 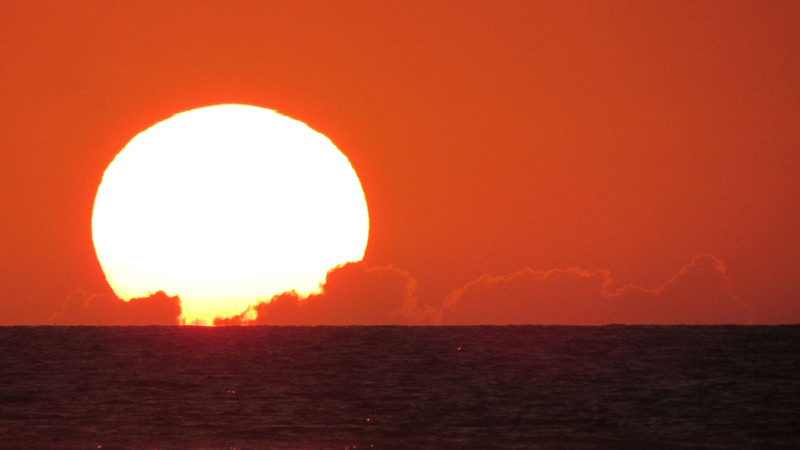 You can find a spot anywhere on the beach that is good for watching the sunset. On a clear day you will be able to see the island Reunion. On the horizon you’ll have to look a little bit to the south west. Vague you will sometimes be able to see the mountains of Reunion. If you forget what day it is during your holiday you will reminded that it is weekend when visiting the beach. During weekdays it is deserted, during weekends it is not. Flic en Flac is very popular among Mauritians. As a visitor of the country it is very interesting to see the beach when the Mauritians are there as well. There are guitars and drums everywhere, people dancing, people eating with families and even people using the beach as a camp-site. Unfortunately the risk of getting robbed also increases during the weekend. We witnessed robberies where it did not matter whether you leave your belongings unguarded or next to you. 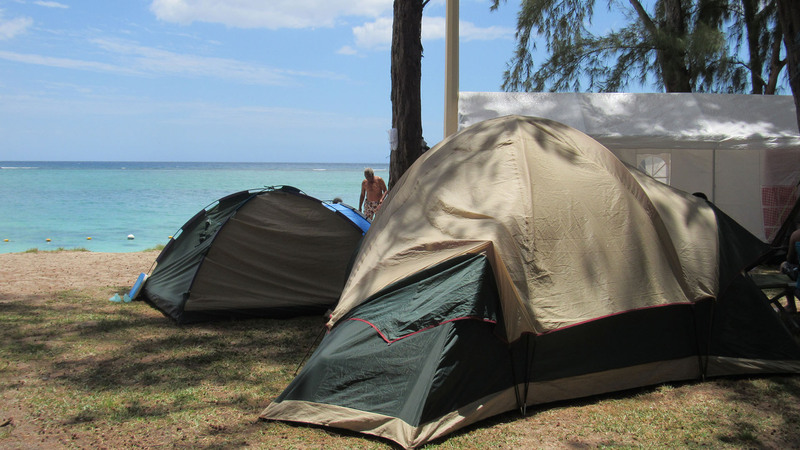 Therefore, take only a bit of money to the beach and leave important and expensive belongings at the accommodation. Like most of Mauritius, Flic en Flac beach is also surrounded by lagoons. The waves break about 100 meters away from the beach. Therefore, the water at the beach is always quite, warm and suitable for swimming. However, there is a lot of dead coral washing ashore, so you have to look at your feet when your walking. There are tons of options to eat and drink at the beach. 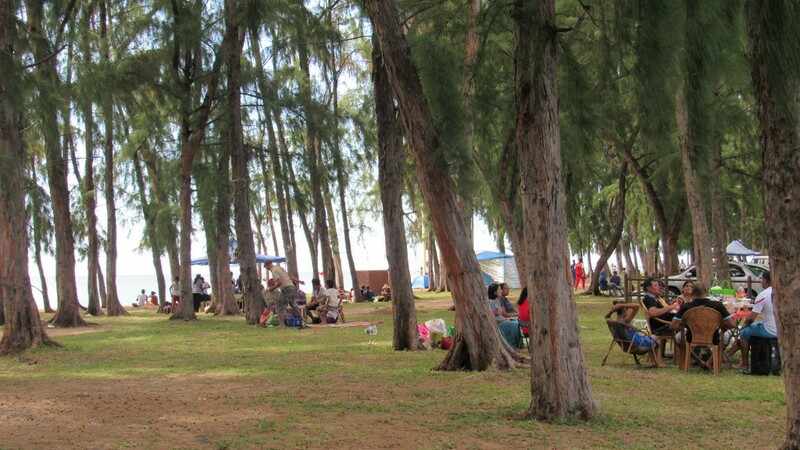 At the public beach you will find stalls selling roti, kebab, hotdogs, chinese food and pancakes. There are plenty of bars and restaurants. 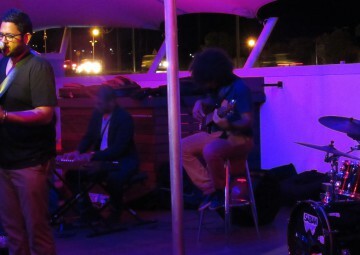 Many hotels have bars in front of the beach as well. 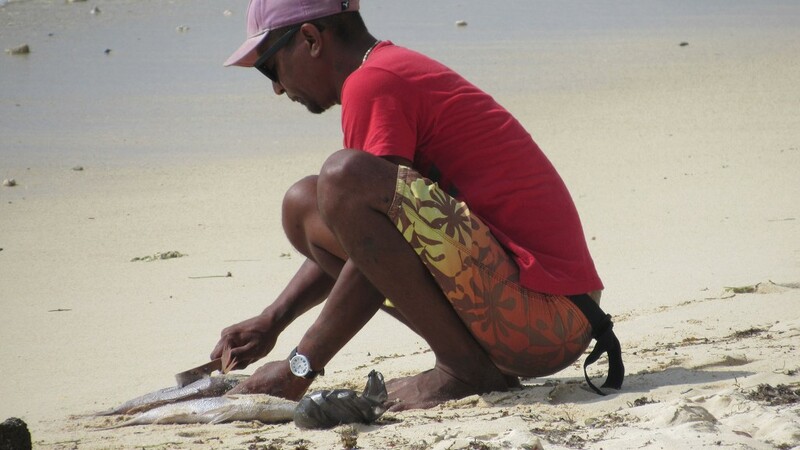 Unlike many other beaches in Mauritius, at Flic en Flac beach unfortunately you have to look after your belongings. Since only recently, there are more and more reports of tourists being robbed of their belongings on the beach. There are police camera’s though on the beach. Will they help? The police have not yet proved to be capable of solving the robberies. The only advice we can give is take as little money and belongings to the beach and tie your bag onto something.